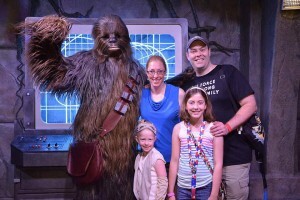 Jared Coppess, an agricultural communication graduate in 2003, went to work for Disney World using his skills he gained from his minor in landscape horticulture. He worked for the horticulture department and was responsible for the identification and treatment of plant materials at many of the parks, including the theme park and its designated hotel areas. 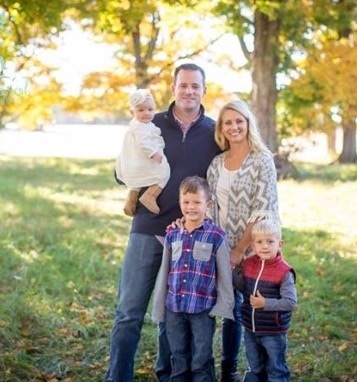 After a year spent in Florida, Jared spent some time working at a landscaping company in Greenville, Ohio, and then moved to Indiana where he joined the staff of the Indiana Soybean Alliance and Indiana Corn in Indianapolis. As the state corn checkoff was just beginning, Jared’s role was to promote the program to farmers and the grain industry, as well as lobby at the local, state, and federal levels. Before leaving Indiana to return to Ohio, Jared served as the public affairs director for both the corn and soybean organizations, covering the checkoff programs and membership organizations where he developed several successful programs including an Indiana Policy Forum and the Ohio River Barge Tour. Today, Jared is the District Administrator for the Darke Soil & Water Conservation District and farms with his dad and brother on the side. Jared says that his current role combines two of his passions- agriculture and conservation. He works with local and state leaders to address conservation needs and issues in Darke County. He enjoys interacting with farmers and students to educate them on practices they can implement to improve their soil health. When he isn’t in the combine, Jared enjoys watching football and cheering on the Buckeyes with his family. He and wife Annette have 3 children- Graham is in the first grade, Colin is in his second year of preschool, and their youngest, Evelyn, turned one this past spring. Also part of the family is an 8 month old golden retriever named Layla. November 1, 2016 is the priority deadline for students wishing to apply for admission to The Ohio State University for Autumn Semester 2017. Just one week from today! 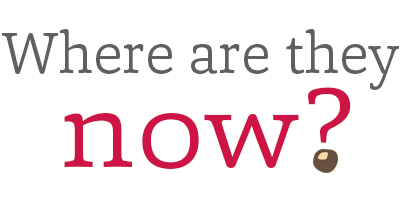 This deadline is extremely important for students wishing to be considered for university merit scholarships, as well as honors and scholars programs. The final deadline to apply for admission is February 1, 2017. 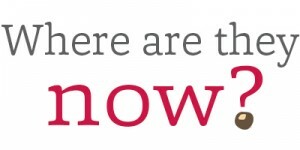 To start or complete the application, visit apply.osu.edu. 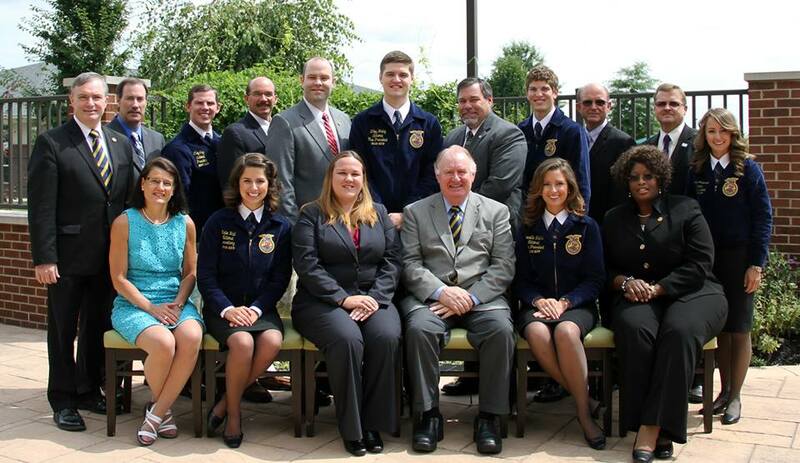 The Department of Agricultural Communication, Education, and Leadership had 26 students receive their American Degree at the 2016 National FFA Convention in Indianapolis, Indiana this past weekend. The American FFA Degree is awarded to members who have demonstrated the highest level of commitment to FFA and made significant accomplishments in their supervised agricultural experiences (SAEs). 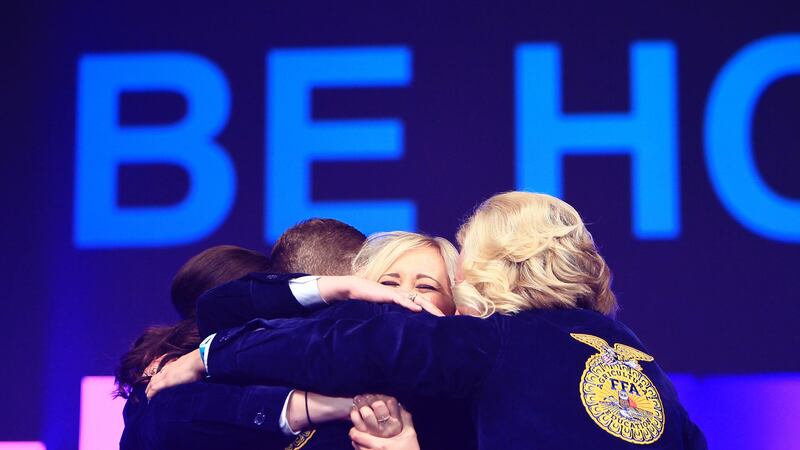 Approximately 3,500 American FFA Degrees are handed out each year at the National FFA Convention. That number represents less than half of one percent of all FFA members, making it one of the organizations highest honors. 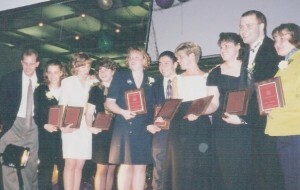 In addition to their degree, each recipient receives a gold American FFA Degree key. On Thursday, October 20, agricultural communication student Sydney Snider gave her retiring address as an officer for the National FFA Organization. Snider has served as Eastern Region Vice-President since November 2015. 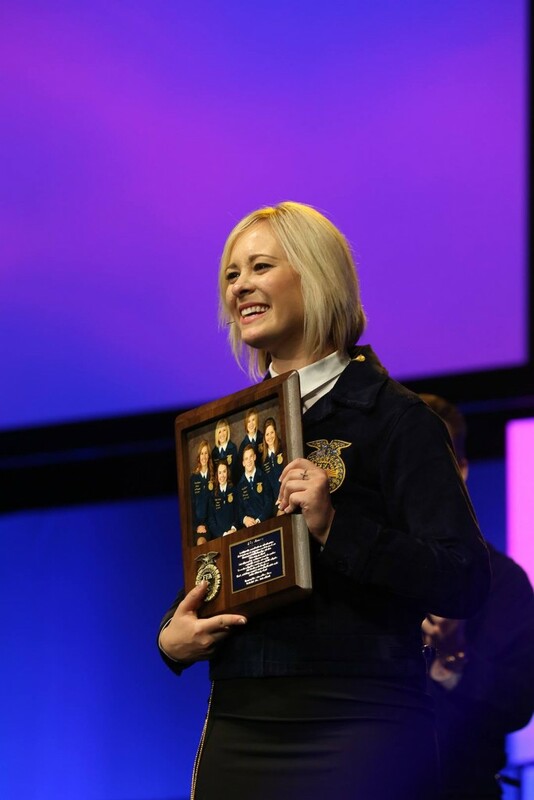 Her retiring address, “See Hope, Be Hope”, is available for viewing on the FFA Pulse website. Congratulations Sydney! You did a fantastic job delivering your retiring address. 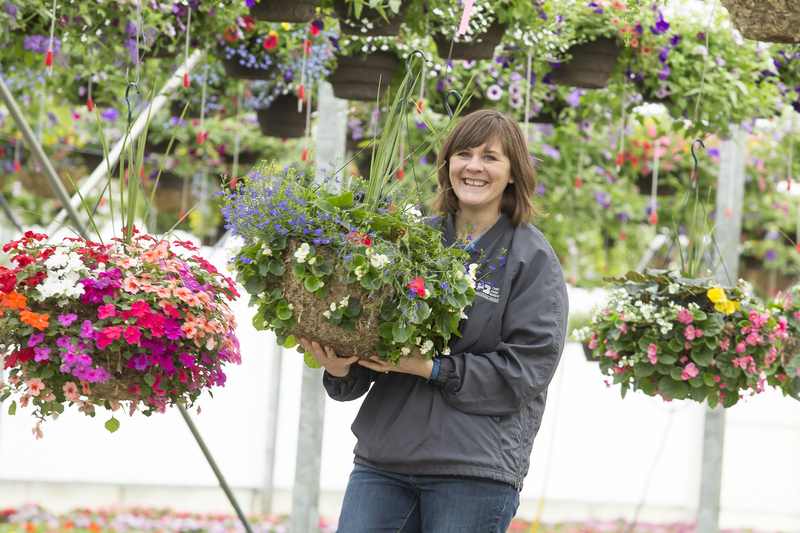 Having worked with Farm Bureau for more than ten years now, agriscience education graduate Melinda Witten still loves her job working within Ohio’s agricultural industry. After graduating in 2007, Melinda spent her first two years post-college as the organization director in northwestern Ohio before transitioning to a new role training county office staff statewide. She also advises students to meet and connect with as many industry leaders as possible, sharing your vision and goals with them. By sharing your passions with them, they will be able to work with you and connect you with the right individuals to help make your visions a reality. When she isn’t working for Farm Bureau, Melinda spends her time at home being a farm wife and mother. Meeting her husband in plant biology class at Ohio State, she used the pickup line, “I really like your sweet corn,” referring to the Witten Farm sweatshirt he was wearing. Happily married now with two children, Melinda is now an active part of Witten Farm, and helps to pick produce (including sweet corn) on the nearly 500 acres of produce that is sold in over 22 retail stands throughout Ohio. master’s degrees from The Ohio State University in 1998 and 1998 respectively, Dr. Kitchel was an active and involved student. His resume included being the president of Ag Ed Society, the president of Phalanx (today known as CFAES ambassadors), and a brother of Alpha Tau Zeta, (now FarmHouse Fraterntiy, ATZ Chapter), just to name a few. After graduation in 1999 Dr. Kitchel spent a few years teaching agriculture and serving as the FFA advisor at Archbold High School where he met his wife Laura, who at the time was the choir teacher across the hall. Returning back to school to earn his PhD in agricultural education from the University of Missouri in 2002, Dr. Kitchel then spent the next decade teaching both undergraduate and graduate classes, serving as director of graduate studies, as well as serving as assistant vice provost for graduate and postdoctoral affairs. His work took him to the University of Kentucky as well as back to the University of Missouri. “When I had the opportunity to return home in a role allowing me to provide leadership for a department where I fell in love with higher education, I jumped at the chance. My career has come full circle from Ohio to Missouri to Kentucky back to Missouri and now back to Ohio,” Kitchel said. Growing up on a hog and crops farm in northern Preble County, Dr. Kitchel was involved in 4-H and FFA. He attributes this background as being the guiding factor of pursing a career in agricultural education. To students, Dr. Kitchel advises to get involved in as much as you can and to study abroad, as travel will never be this affordable at any other time in your life. While grades are important, he is a firm believer that there is a lot of learning to be had outside of the classroom. A movie buff in his spare time, the Dr. Kitchel says his basement is decorated in movie posters such as Raiders of the Lost Ark, Back to the Future, Star Trek, Star Wars, and Harry Potter. For vacation, Tracy and his wife Laura – along with their two daughters Isabel and Violet -love going to Disney World. 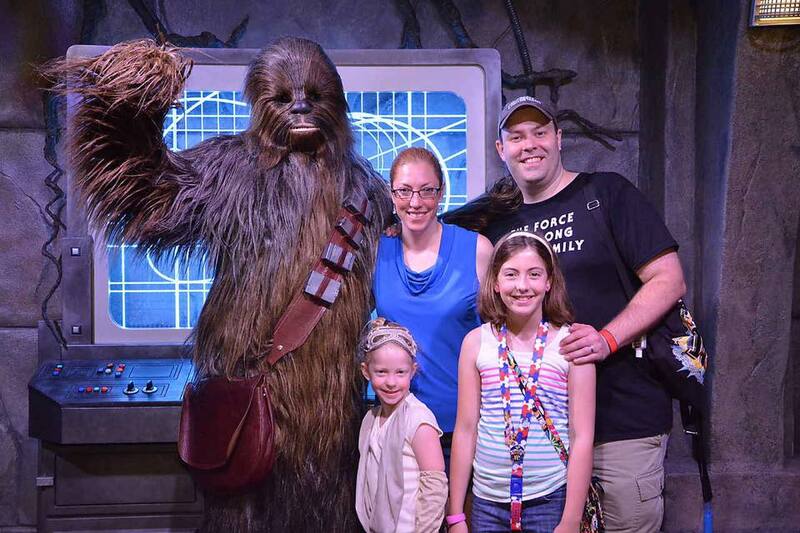 Tracy, wife Laura, and daughters Isabel and Violet at Disneyworld meeting Chewbaca from Star Wars.